Exactly the important mark that Herman Bernstein left on the development of U.S.-Albania relations has since long aroused the interest of the distinguished Albanian diplomat, Mr. Mal Berisha who has written a book about it. A special person was the guest of the U.S. Embassy this week. It was the U.S. 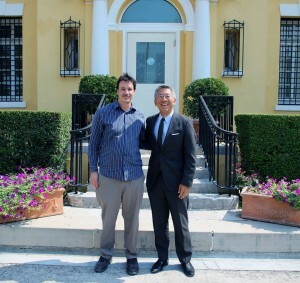 Ambassador, Donald Lu who welcomed Boaz Nash to the U.S. Embassy. Mr. Nash is the great-grandson of Herman Bernstein who served as U.S. Ambassador to Albania from 1930 to 1933. 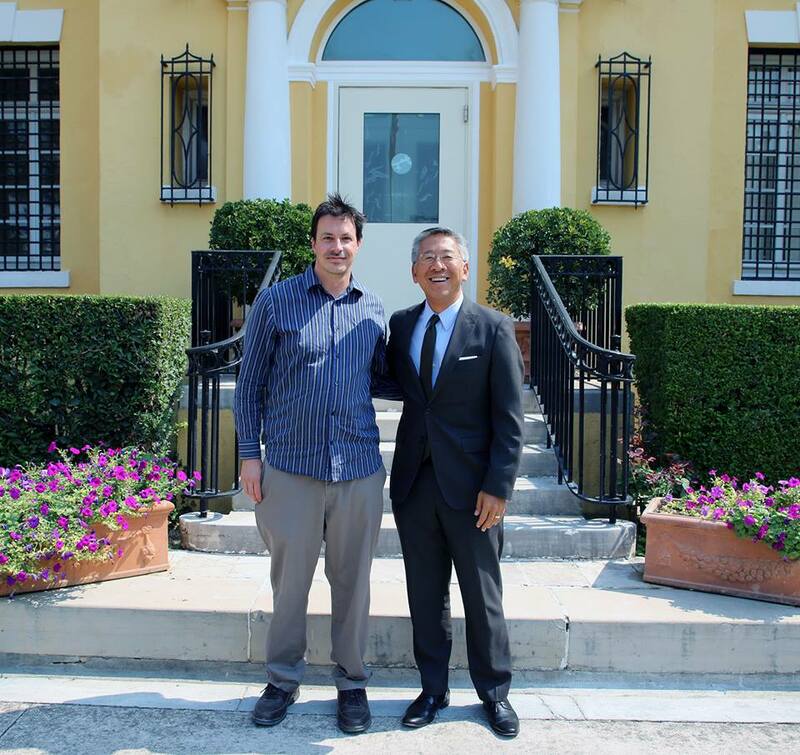 According to the Embassy, Ambassador Lu gave Boaz a tour of his great-grandfather’s former residence and workplace. The book, titled “The American in the Royal Court of King Zog” is an outcome of a long, systematic and dedicated work by Mr. Berisha. It will cast light on the connections of the remarkable U.S.-Jewish personality, Herman Bernstein with Albania. The book, which will include Mr. Bernstein’s most selected works and his activity as a diplomat in Albania, is about to see the light soon. This was confirmed by the author on his official Facebook account. “A few weeks have been left from the moment that my book on the life of U.S. Ambassador, Herman Bernstein (1930-1933), under the care of Prof. Dr. Bardhyl Musaj, will see the light,” says Mr. Berisha. But that is not all. 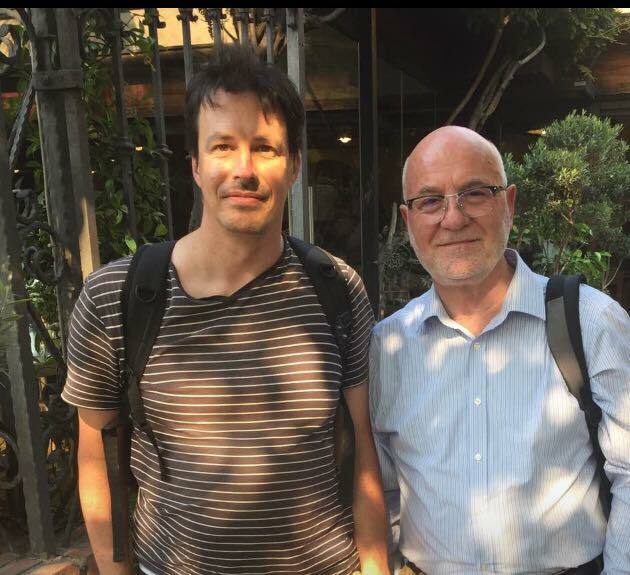 He had the unique opportunity to meet with Mr. Boaz Nash on the eve of the book publication. 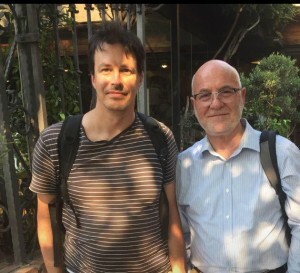 “As a rare gift, exactly on the eve of the book publication, came the meeting with Bernstein’s great-grandson, the scientist Boaz Nash, who was referred by YIVO Institute of Jewish Research in New York. 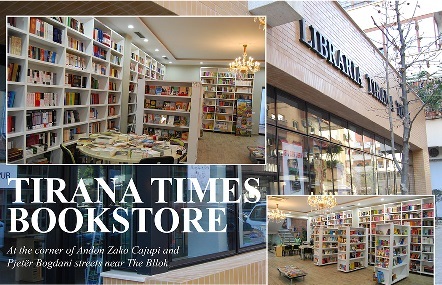 The meeting was made under the care of the U.S. Embassy in Tirana,” the well-known diplomat said in his Facebook posting. “The grandmother of Boaz, the daughter of Herman Bernstein, called Dorothy, was married with his grandfather, Actius Nash, a student from France on October 17, 1930. The wedding ceremony was conducted at the Tirana Municipality with the blessing of the then mayor, Rexhep Jella. Dorothy was also a co-author in the translation into English of Aleksander Moisiu’s drama – “I BURGOSURI” (The Prisoner), written in German and dedicated to Napoleon Bonaparte. More about Herman Bernstein and his great- grandson, Boaz Nash to come in the book that will see the light very soon. Proud to be Albanian,” concludes the diplomat. Soon after the meeting with the Albanian diplomat, Nash has reacted by appreciating the efforts of Mr. Berisha in writing about his great-grandfather and his relations with Albania and the Jewish people. “It was an honor and a pleasure to meet Mr. Berisha in Tirana. This was my first trip to Albania, and I hope to have another opportunity to return. I’m appreciative of Mr. Berisha’s efforts to bring out the history of my great-grandfather with regard to Albania and its relation with the Jewish people. I am looking forward to the book he is publishing! I hope to be able to read an English translation some day!,” he said. 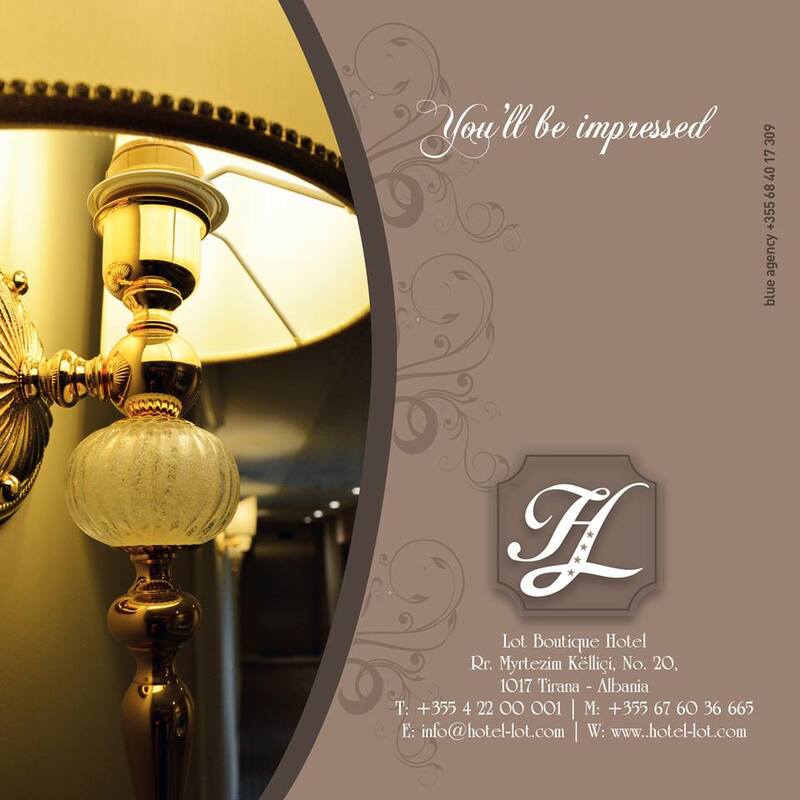 Mr. Berisha is distinguished for the particular topics he chooses to treat in his books. He has captured the attention of the public with his soft-spoken articulation of the issues and expert-based approach to diplomatic relations of Albania, appearing in the majority of the national news outlets of the country and abroad.